Haiti’s deforestation is largely driven by small-scale farming and charcoal production, which involves harvesting wood and heating it to remove water and volatile compounds. New findings indicate that, at current deforestation rates, all of Haiti’s primary forest will be gone within the next two decades, leading to the loss of most of the country’s endemic species. The study was authored by researchers at Temple University, Oregon State University, the United States Forest Service, and Société Audubon Haiti, a non-profit conservation organization based in Haiti. Its results were published recently in Proceedings of the National Academy of Sciences. Other species at risk include the Hispaniolan solenodon, a large shrew-like animal native to Haiti and neighboring Dominican Republic. One of the oldest mammals on the planet, the solenodon survived the mass extinction event that wiped out the dinosaurs. “It’s almost extinct,” Hedges says. 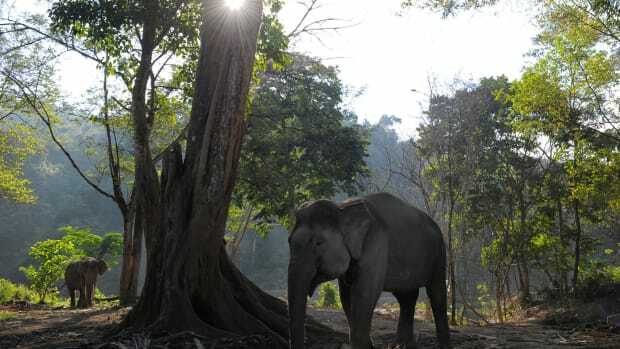 “It’s very, very hard to find.” However, the team did see recent evidence of one in mountainous primary forest during a biodiversity survey that took place between 2009 and 2015. In all, the survey turned up 28 species that are endemic to specific mountaintops—including several new frog species. 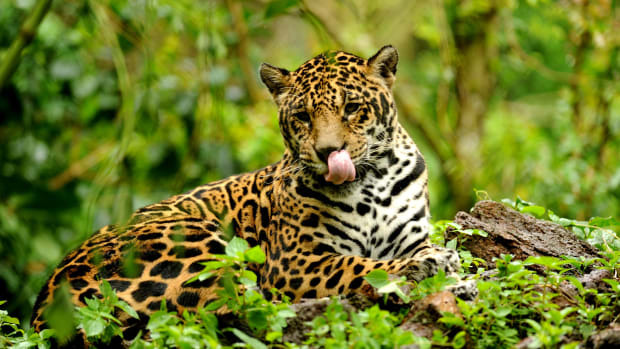 Hedges says there were likely many more, but as their habitat disappeared, so did they. “Unfortunately, entire mountains have been deforested before biologists have surveyed them, so there were almost certainly many more species that we will never know about,” Hedges says. Along with the extinctions of unique animals found nowhere else, Haiti’s deforestation has another consequence: landslides and flooding. The researchers found that, without tree roots to hold soil, mountains tended to lose their topsoil to erosion soon after deforestation. And without trees to sop up rainwater, lowland areas are much more prone to catastrophic floods. Hundreds to thousands of Haitians die each year from flooding that is largely deforestation-related,” Hedges says. He pointed to a flooding event in 2004 that killed more than 1,200 people in a single town. The researchers witnessed this firsthand while conducting their biodiversity surveys, even encountering locals at study sites they had to use a helicopter to reach. “I did a lot of hiking and we would run into Haitians at the most remote places in the country,” Hedges says. 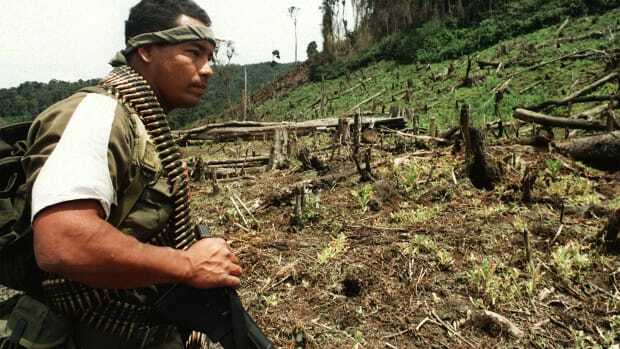 Even protected areas aren’t immune from deforestation. Hedges recalled meeting a ranger a few years ago in Pic Macaya National Park—one of the last remaining sites of primary forest in Haiti. In their study, Hedges and his colleagues write that Haiti’s two original national parks, Pic Macaya and La Visite, lost between 60 and 75 percent of their primary forest cover since they were declared protected areas 35 years ago. The researchers say improved monitoring is needed if forests—particularly primary forests—can be saved. 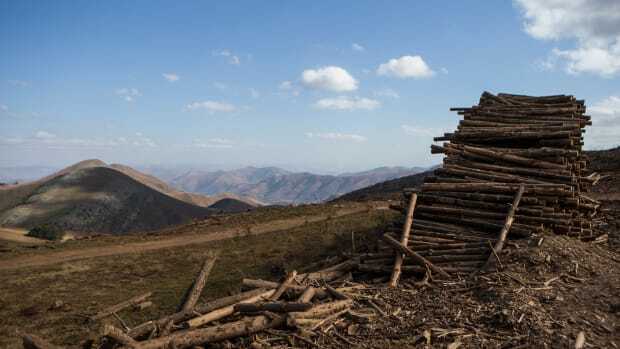 The FAO doesn’t plan on changing its approach to forest definition, according to Anssi Pekkarinen, team leader of the FAO’s Global Forest Resources Assessment. 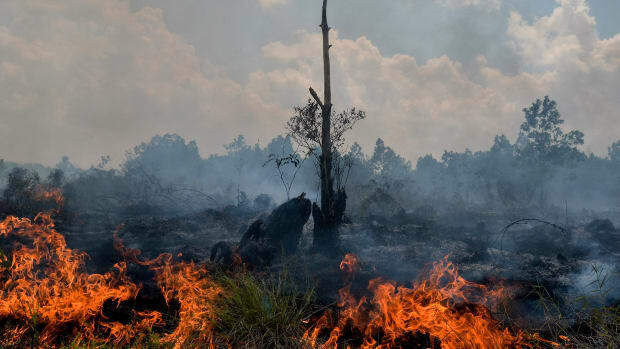 However, he says they are allowing “more detailed reporting at the sub-category level,” which includes differentiation of “planted forest” and “naturally regenerating” forest. In response to the country’s deforestation crisis, reforestation projects have popped up, including Haiti Takes Root and the USAID Reforestation Project launched in January of 2018, which aims to plant more than five million trees. To help Haiti hold on to its forests and biodiversity, Hedges started a non-governmental organization called the Haiti National Trust that is set to purchase a mountain in Haiti in a bid to preserve its remaining primary forest. In the country’s southeast Guaviare department, harvested wood rots on the ground while gangs and drug traffickers take over the land for illegal mining and agriculture. A recent study illustrates why humans need to step up their efforts to save the world’s forests. 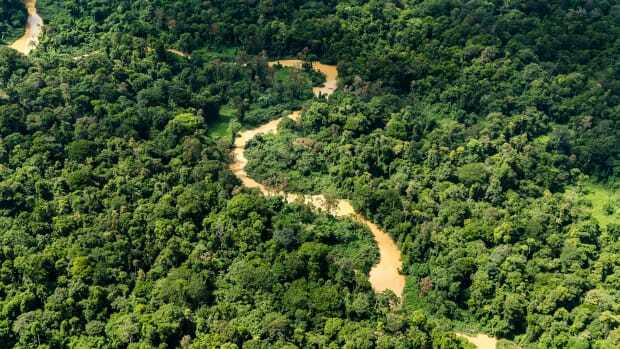 According to a new analysis, tropical forest loss currently accounts for 8 percent of the world’s annual carbon dioxide emissions.